Maria came with her mom. She worked on a street scene from Barcelona. It's hard to think of something that's more fun than spending a weekend with motivated, talented students who want to learn new stuff! Last weekend was one of those good times, with a roomful of folks ready to learn watercolor techniques, beginning on Saturday morning with simple exercises, like using a round or a flat brush, and spending the afternoon doing more complex techniques, such as laying washes and using frisket. On Sunday, each participant put their new skills to use and did a painting or two of their own choice. David is a children's book illustration certificate student. He worked on a monochromatic piece where he built up layers of color. Trish came with her daughter, and worked on a Caribbean scene featuring cool blues and violets. Satori is a doctor who enjoys art. He honed his skills by copying a Modigliani and Sargeant. 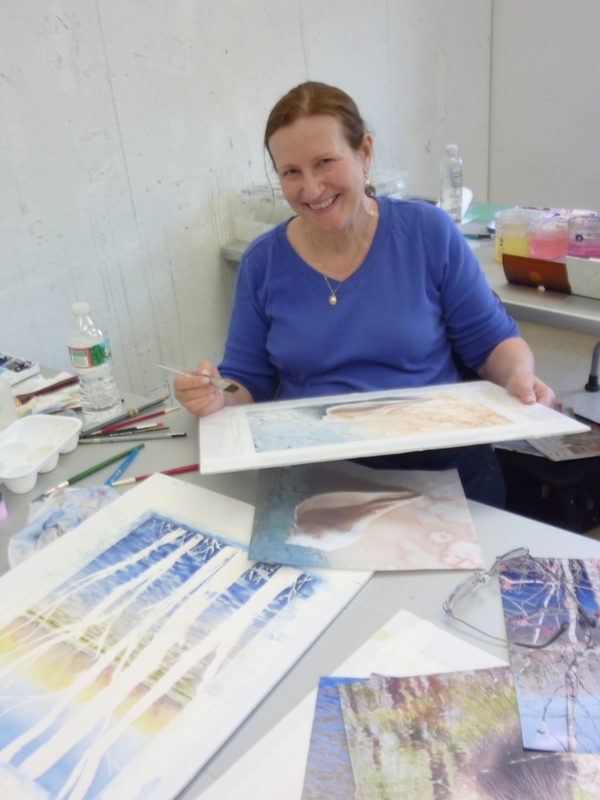 Marsha practices laying wet on wet washes in colors that were bolder than she was used to, as well as using masking techniques. Sue worked on an illustration of animals in a classroom. Nancy is a retired Providence teacher who focused on unifying her landscape painting. Teri is a college instructor and a RISD children's book certificate student. She did the same illustration on both hot press and cold press papers to discover the differences between the two. Bill did two paintings, one of a ship on the waterfront, and another of a building in snow. 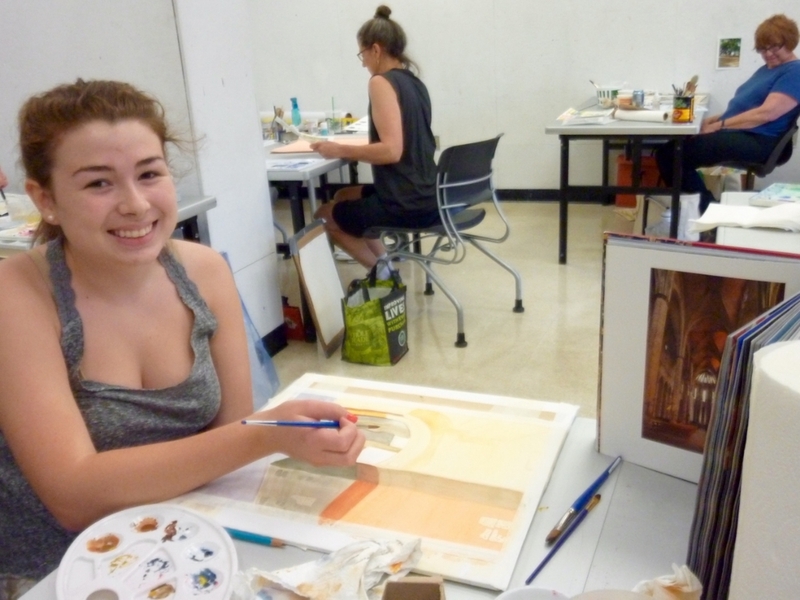 Heather did two beautiful paintings, experimenting with salt, masking, wet on wet and more. Manette usually works with oils, so her foray into wet on wet and masking was new territory.